Since we started the AquaNerd Blog back in May of 2009, our only goal was to provide quality information and industry news relating specifically to the saltwater aquarium hobby. Unfortunately, as with any new website, we ran into various issues and had dismal traffic at the onset. However, after spending countless nights researching topics, interacting with members of the global aquarium community, making tweaks to the website, and writing aquarium-related articles that members of our audience really seem to enjoy, we’ve finally gotten to a point where we feel our site is a success. To date, August 2011 has been our best month both in terms of the number of articles we published and the number of aquarium keepers reading those articles. In fact, we saw a 24% jump in traffic from the previous month and I wanted to take this time to thank everyone who has made our blog a success. Below is a list of our 10 most popular articles in August, so feel free to browse. Congratulations on your site’s success. 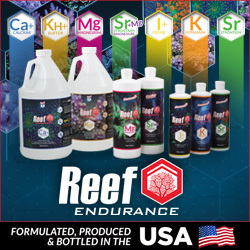 You provide a great service to the reef aquarium community. Congrats! I know I enjoy reading the articles so keep them coming!